Perhaps the scariest three minutes of music ever recorded were by Nehemiah “Skip” James in 1931, in Grafton, Wisconsin, for the old Paramount blues label. Here’s the original recording of Skip James’ Hard Time Killing Floor Blues. The way I heard it was that it refers to James working the “killing floor” in a Chicago slaughterhouse. Any guitar player who has tried to do this song can tell you that it isn’t easy. I think James recorded it in Em tuning; for the sake of not popping strings, I’ve shifted it to Dm in my poor attempts to play it. 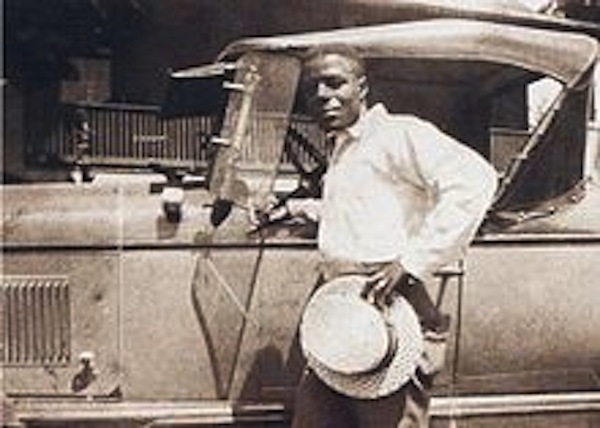 This style of fingerpicking blues evidently originated in or near Bentonia, Mississippi, where James was from. My dad drove us through Bentonia when I was a kid; it’s a wide spot in the road near where Highway 49 crosses the Yazoo River. Sorry I can’t provide any info on this video; the intro, showing someone playing James recording his song on a Stella guitar, is very well done. Folks who knew Skip James, who died in Philly in 1969, say he wasn’t a very happy person much of the time but I suspect he’d love what Ms Williams and her associates did with his wonderful song. AN ASIDE . . . 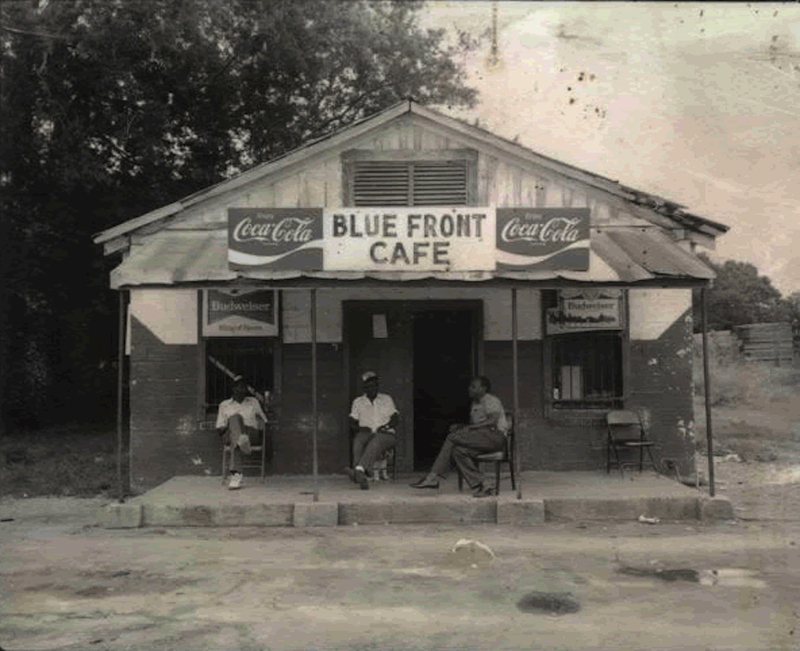 It occurs to me that it was almost exactly 50 years ago that our family drove through Bentonia, Mississippi. At the time, the late summer of 1963, we were living in Houma, Louisiana, which is southwest of New Orleans. I don’t know what possessed my dad to move there; they must have had a great airport as flying was the only thing that he cared about. I remember that we were living there when John Kennedy was killed. 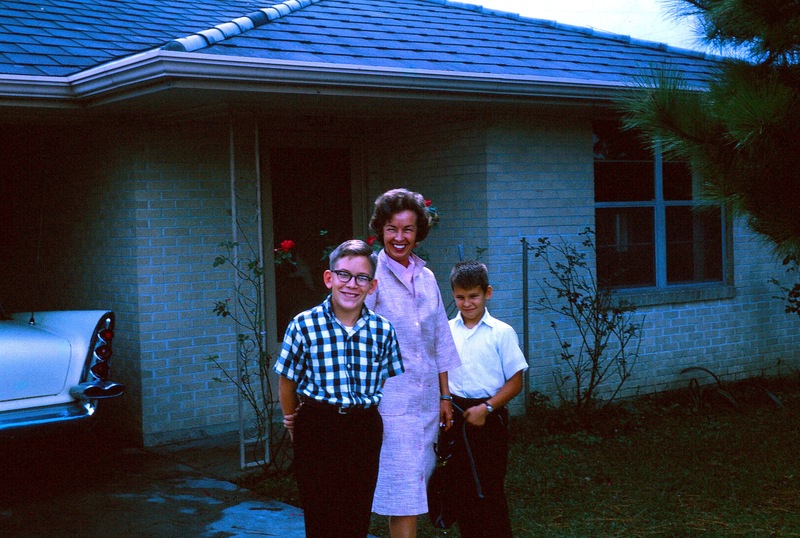 My mom, my brother Jeff and I loved Houma. It was deep in the Cajun bayou country and the food, music and people were wonderful. 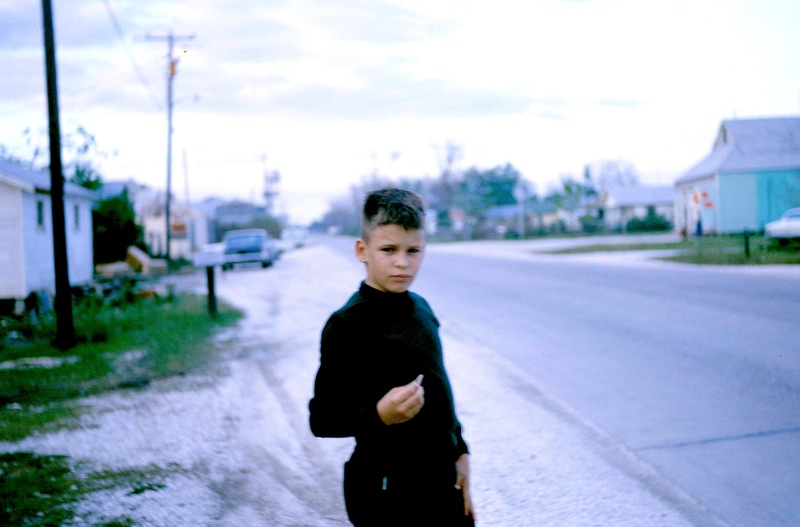 Near Houma was a smaller town called Thibodaux, on the banks of Bayou Lafourche, where my dad took us to a superb little seafood restaurant on the weekends; here’s a photo I took of Jeff standing on Thibodaux’s main drag. Moody and magnificent, wasn’t he? Anyway, there was a hurricane about to hit in that area and it was something to worry about. All that part of the Gulf Coast is low-lying, and the Houma/Thibodaux area especially so. If you recall the Swamp Thing comic books, they were set in Houma. So my dad decided the smart thing to do would be for us to hop in the white DeSoto and spend a few days in Yazoo City, Mississippi (250 miles due north and on higher ground), and Bentonia is 15 miles south of that town. As it happened, the hurricane came up as far as Yazoo City so we didn’t escape much. But I got to see Bentonia, never dreaming that one day I’d wish I’d paid more attention to it!